Best gun I've used. Tried two or three others before a friend let me use theirs and knew then I had to have one. "Don't make a mistake. Buy this one." Don't make a mistake. Buy this one. You get what you pay for and this is a very nice blank pistol in 22 caliber. I would recommend it to my best friend. "This is by far the nicest blank pistol I have found on the market." This is by far the nicest blank pistol I have found on the market. It is heavy, well built and excellent quality. 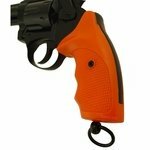 The package with holster is a MUST and a great value! I am beyond happy with this purchase. Gun Dog Supply is the BEST! "It comes with a holster and case!!!" This is very true to life as far as blank guns go. I love it and it's loud. 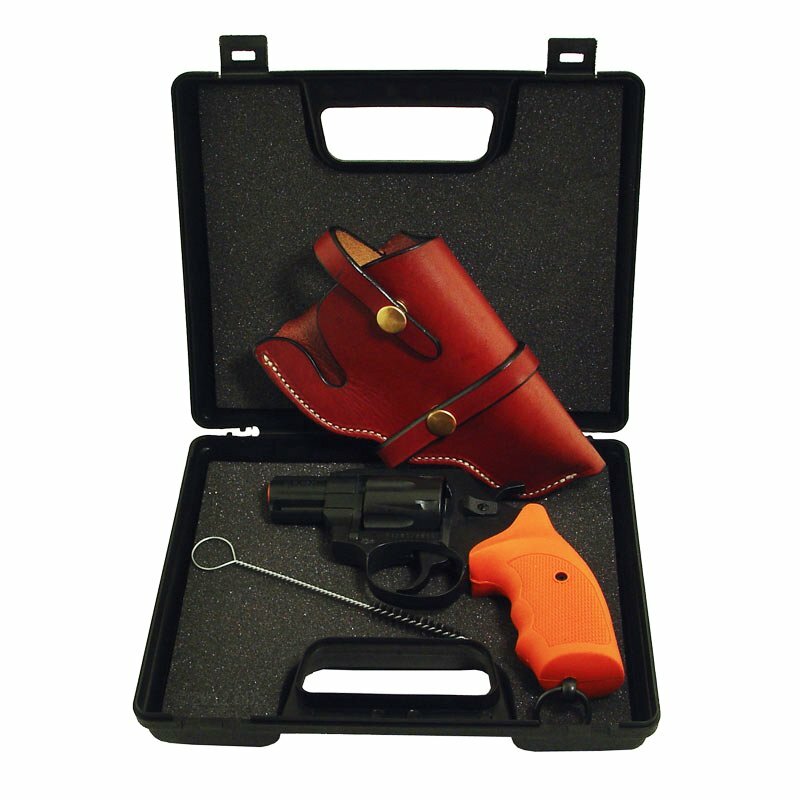 It comes with a holster and case!!! Hopefully only going to use it a few times for a JH test, but definitely recommend! "Great deal on the whole package including holster." 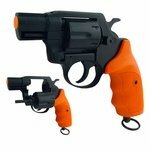 Great deal on the whole package including holster. I would recommend this to friends. I especially like the orange grip as a safety feature. 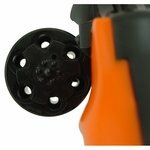 A big plus for me is it can fire full-size blanks which I can pick up very inexpensively at Home Depot or Lowe's. "Appears to be very well made using good materials resulting in a relatively heavy, but nicely balanced/easy to handle pistol." Product was as described. Appears to be very well made using good materials resulting in a relatively heavy, but nicely balanced/easy to handle pistol. Easy to load and unload. 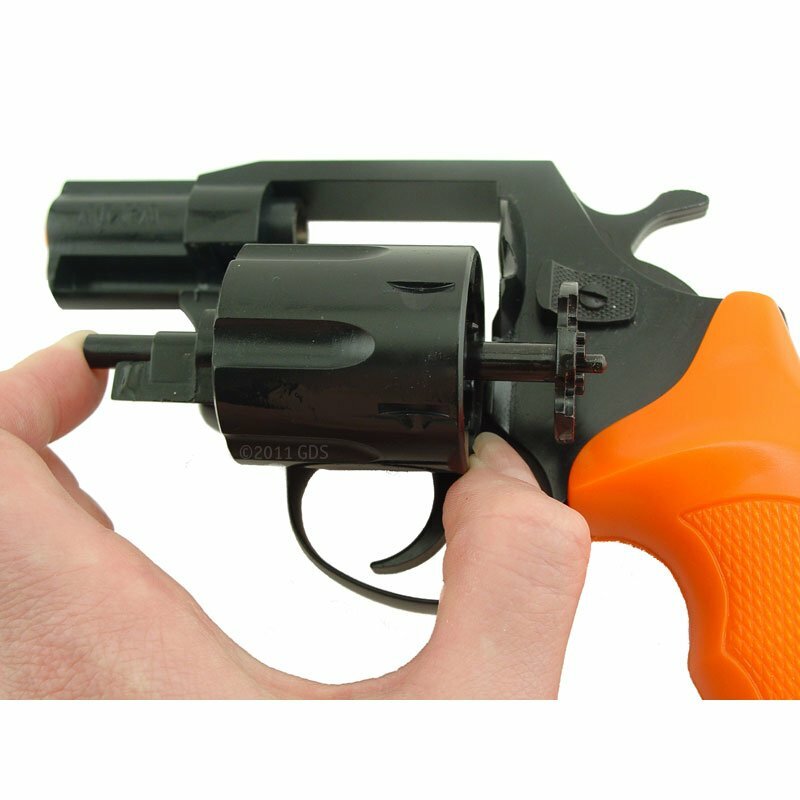 Trigger pull is very good...similar to my Ruger .22 revolver when cocking/firing single action, and a pound or so more when pulling trigger for double action firing. No misfires, handles the short acorn blanks and longer .22 blanks with no problem. It is suggested to point the pistol down when firing the acorn blanks as they may displace out of the cylinder ...that is what I have done with no misfires...haven't tried firing in any other position. 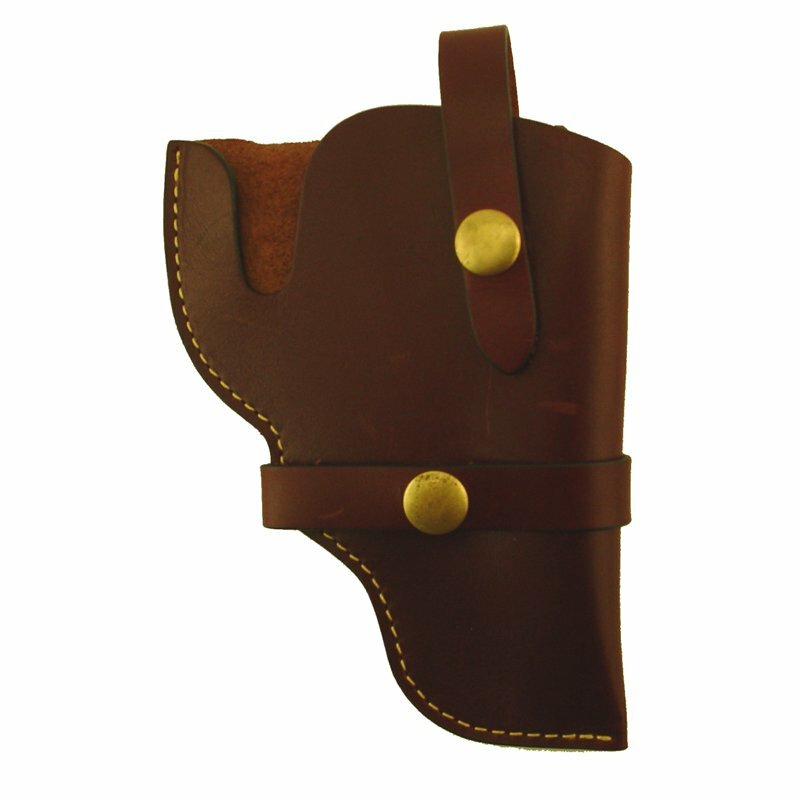 Holster is well made of thick leather (stiff but is breaking in OK with leather conditioner and use). There is an extra snap on the back of the belt loop side of the holster that I haven't figured out its use, but otherwise a very solid and useful holster. It was also nice that everything arrived sooner than expected. Gun Dog Supply is very easy to do business with, they follow up to insure all is OK and they have good price/value compared to other product sources. The quality of design, material, and workmanship of both the holster and the pistol are as expected. Excellent. "Heavier than what I'm used to, but well built." Heavier than what I'm used to, but well built. "Top notch blank kit. " Top notch blank kit. 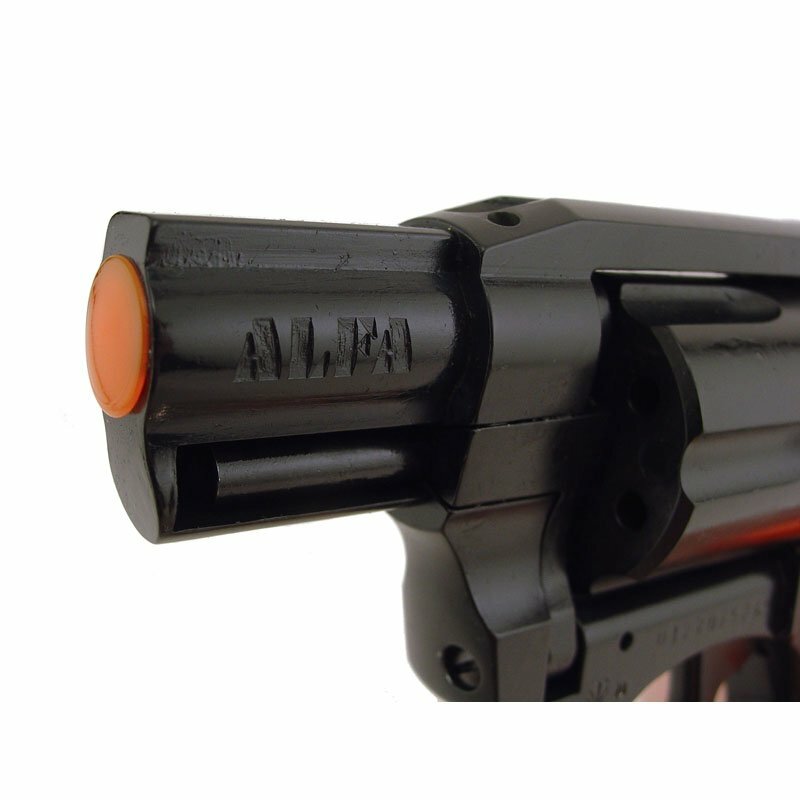 The Alfa pistol has both the weight and feel of a real weapon. Makes use and cleaning easy. Self-ejects to reload. Kit includes holster, case and cleaning brush that saves $. Perfect for gun dog training. 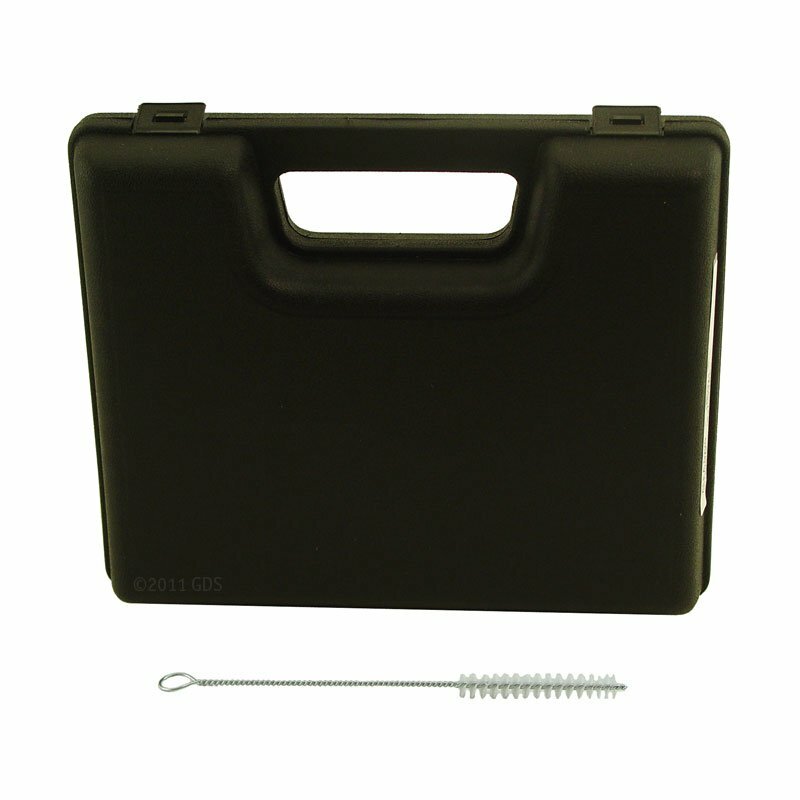 "Very well made piece of training equipment. Works great so far!" Very well made piece of training equipment. Works great so far! "It feels great in my hand, works as it should and I can always find it in my training vest." It feels great in my hand, works as it should and I can always find it in my training vest. "First rate pistol, no different than a fine revolver." First rate pistol, no different than a fine revolver. Ejector is a nice addition. Much louder than old pistol with same loads. Double action works smoothly. Lanyard ring is very handy. I lose pistols regularly even with the holster. "I'm a starter at Track and Field meets. This is the pistol a person should have for that job." I'm a starter at Track and Field meets. 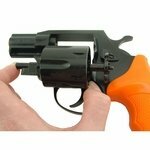 This is the pistol a person should have for that job. "Shipped within a few hours and received in just a couple days." Shipped within a few hours and received in just a couple days. Can't beat the order fulfillment and speed! Still haven't tried it out yet, but it's sure to be an excellent pistol. "I'm entirely satisfied with the pistol." I'm a cross country and track coach. I needed a higher-quality starter pistol for use in practice and meets. GunDogSupply.com offered the Alfa .22 for about $50 less than most of my regular equipment suppliers - and offered faster shipping - so you won my business. I'm entirely satisfied with the pistol. Thank you! Awesome training tool. Should have had one of these sooner. Have no complaints. I start high school track meets. It works perfectly. "I would buy it again and recommend it as a good tool." Gun works well with various 22 blanks, Rugged, fires without a skip- if you use acorn blanks, do as book says and point down when you fire to be sure of detonation. Training with friends, cheaper light training pistols go click a lot when this ALPHA FIRES EVERY TIME and no problem with ejecting spent casings as is common in cheaper pistols. Gets a little heavy on hip holster after a few hours. Had to force pistol hard into holster to get flap buttoned over the pistol. I would buy it again and recommend it as a good tool. "This is an excellent gun for starting track meets." I am a track & field official. This is an excellent gun for starting track meets. 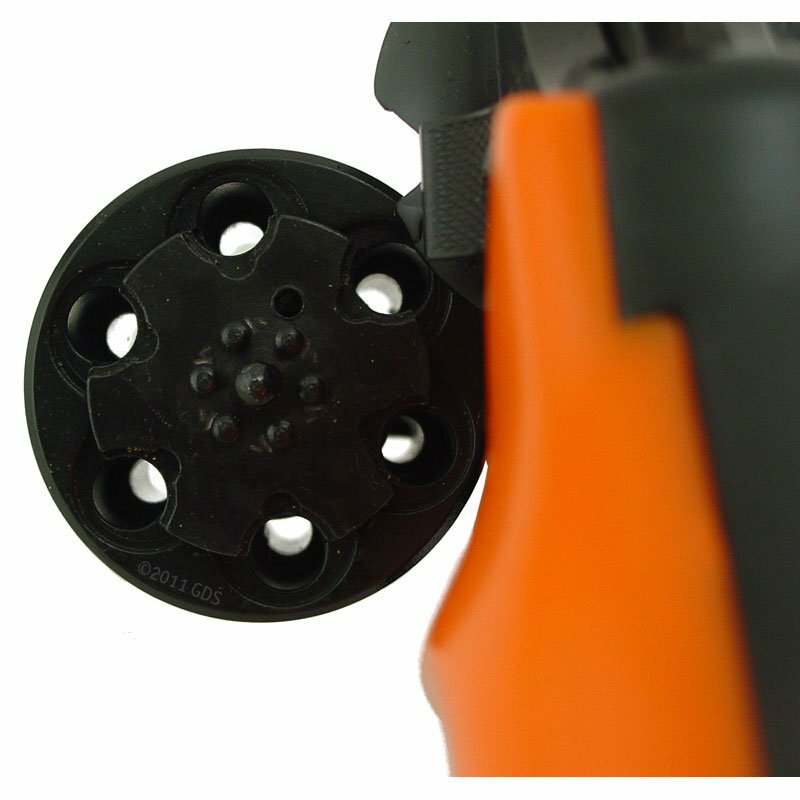 The hole in the top of the barrel allows some of the noise and flash to blow away from ones head. I have probably gone through several thousand blanks thus far, and the gun has not failed to fire or missed on rotating to a second fire for a false start. The only problem that I have encountered with the gun is that it is hard to clean. The exit holes in the cylinder are smaller than the shell size and the paper wads from the blanks tend to clog the openings. Pistol is great, very well made and rugged. If I could change one thing it would be to put in a better, padded case. The case it comes with offers no real protection. Excellent service very fast shipping and excellent product. German Shorthaired Pointers. Hunts. Family pet. Competes. Works great, probably should have ordered another box of blanks at the time of purchase though. "I'm well satified with the pistol & would feel comfortable recommending it." The Alfa blank pistol is very well made. 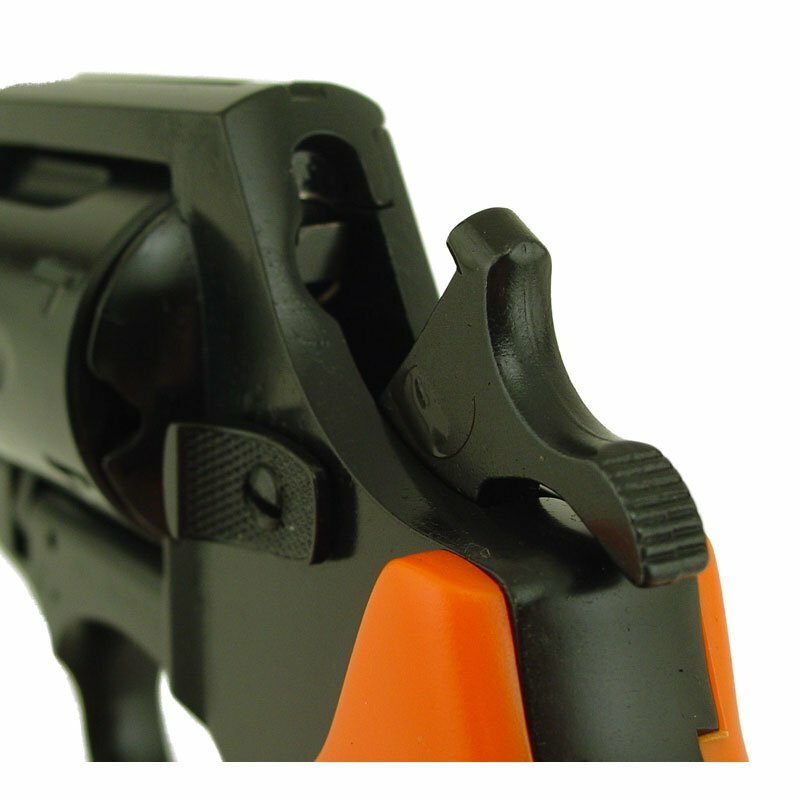 It's heavy duty construction is very similar to a normal pistol, and the action is quite smooth. Occassionally the shells will back out of the cylinder slightly & cause the cylinder rotation to hang up, especially during or after holding the gun overhead. This, however could be caused by the blank shell. Also, I thought the holster was pretty flimsy & should be heavier duty to handle the fairly heavy Alfa pistol. I've had two other blank pistols, & they're like toys compared to the Alfa. Even with the relatively minor drawbacks I've mentioned, I'm well satified with the pistol & would feel comfortable recommending it. "I love the gun and the way it feels." The only negative thing I can say, and really it's not a negative it's more information those who purchase this kit in the future, is if you need it right away that the blanks can't be sent by air. Other than that I love the gun and the way it feels. The starter pistol itself is great. You can tell it's a quality pistol that will last a lifetime the second you first hold it. But the holster that came with the kit is garbage. The snap on the inside of the holster is in a place that scratches the side of the gun, then the first time I was able to force the gun all the way into the holster to be able to snap the strap closed securing the gun, the snap broke. I had to order the nylon holster Gun Dog Supply offers as a suitable replacement. Summary: Works great, probably should have ordered another box of blanks at the time of purchase though. The Alfa .22 caliber double action blank starter pistol is a rugged and reliable dual action revolver with superior manufacturing quality. NOTES: Fiocchi "smokeless" .22 caliber blanks are recommended. If using crimped acorn blanks, you must point the Alfa .22 down when firing to prevent jamming (this does not occur with our other types of blanks). PLEASE NOTE: Use and/or possession of Blank Pistols (Starter Pistols) and Blanks is prohibited and/or restricted in some jurisdictions. Laws change frequently. Therefore, all buyers should check with local authorities prior to ordering starter pistols, blank pistols, and/or blanks.